A woman with 16 previous tickets runs down a cyclist while texting and drunk, and gets off with just four years. Evidently, Danae Marie Miller got an early birthday gift. Although I’m sure she doesn’t think so. Miller plead guilty on Tuesday to a single count of felony vehicular manslaughter with gross negligence while intoxicated. She had been facing a maximum sentence of 10 years in state prison; she accepted a plea deal for less than half of that. Her victim, Amine Britel, a world-class triathlete as well as a popular local businessman, was riding in the bike lane on San Joaquin Road just east of Spyglass Hill Road in Newport Beach last February 21st when he was run down from behind by Miller’s car — just one year and one week from the day of her sentencing. Why she was even on the road that night is question our lenient traffic courts will have to answer. Or would, if anyone was paying enough attention to ask the right questions. In the six years between 2005 and 2011, Miller received six tickets for speeding or driving too fast for conditions, as well as tickets for driving the wrong way on a one-way street, failure to stop at the stop sign and two tickets for talking on a cell phone while driving. A record like that should have been more than enough to get her off the road. If the courts had actually taken her obvious refusal to obey basic traffic laws seriously, a gifted athlete might still be alive today. Instead, she was allowed to keep driving until she killed someone. Now her license has finally been revoked for three years as part of her sentence. Just a tad too late, I’d say. Despite initially claiming that she hadn’t been drinking, Miller had a BAC of over .10 nearly two hours after the collision after getting off work at the Zinc Café in Corona del Mar. And despite claiming that she never texts while driving, records showed that she had been texting just moments before killing Britel — though not, apparently, when she actually hit him. Evidently, you’re not considered legally distracted unless you text WTF! at the exact moment you kill someone. According to an anonymous source who attended the sentencing, the real surprise was that the two families seemed to be supportive of one another at the conclusion of the case, despite earlier anger. The surprise in the Miller case is that the families, Miller’s and Britel’s, were amicable after the sentencing, talking with each other in the courthouse hallway. After the daggers I saw fly at Miller from the two members of the Britel’s family who had shown up at the prelim last December, I certainly would never have expected this, especially after the oral impact statements provided to the judge before sentencing. Miller’s family, however, had been very supportive of her, showing up at all her court appearances, so maybe this support will give her a shot at redemption, a chance to be a useful, productive, harmless member of society in the future; even Britel’s family seems to be hoping for this. Danae Miller is just 23 years old, and spent Tuesday night in the Orange County Jail pending transfer to state prison. With good behavior, she could be back on the streets in a few years. Whether she will have learned her lesson by then remains to be seen. Her birthday is in a few weeks; she’ll celebrate it behind bars. Hopefully, she’ll appreciate the early gift she got in court on Tuesday. Thanks to Jeffrey Fylling and David Huntsman for the heads-up. Update: I neglected to mention that two civil suits have been filed against Miller for the death of Amine Britel; they were recently consolidated into a single case. In yet another example of our courts coddling killer drivers, the same anonymous source tells me that Renato Demartino entered a surprise guilty plea on Tuesday for the hit-and-run death of 22-year old Marco Acuapan. Acuapan was also riding in a marked bike lane, on Walnut Avenue near Browning Avenue, on November 17, 2010 when he was rear-ended by red 2010 Mustang. The driver, later identified as Demartino, fled the scene, leaving his victim lying in the street with severe head injuries. Acuapan was taken to a hospital in critical condition, where he remained in a coma until his death last April. According to my source, Demartino was sentenced to just two years in state prison. And even that was stayed, meaning he is unlikely to spend a single night in jail. Thankfully, his license was revoked for three years, since the court saw fit to let him out. Seriously, he killed a man and fled the scene. And didn’t even get a slap on the wrist for heartlessly leaving another human being to die in the streets. May I politely ask what the f*** is wrong with our legal system? One brief bit of good news. 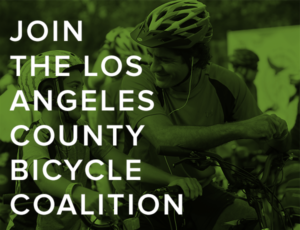 The County of Los Angeles now has a shiny new bike plan, as the Board of Supervisors passes it on a vote of four to zero; Supervisor Mike Antonovich abstained because of questions about funding the plan. And a planned Altadena bike boulevard was given teeth when the Supervisors voted to require traffic calming measures, rather than merely allowing as called for in the plan. Just two days after writing about the unacceptably high rate of cycling deaths on SoCal streets, we have two more to add to the list. One was killed in an apparent solo collision Friday night; the other succumbed earlier this month to injuries suffered last November. 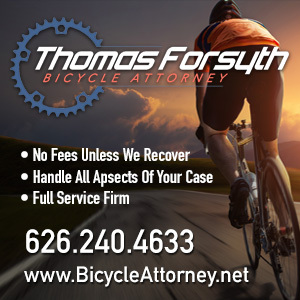 In the most recent case, a man was found lying dead on top of his bike on the side of the road in Coachella, at the intersection of Avenue 50 and Peter Rabbit Lane. Despite initial reports of a hit-and-run, police investigators concluded that the rider, who has not been publicly identified, was the victim of a solo collision. According to KPSP-2, the victim was riding on the sidewalk at a high rate of speed about 8:03 pm Friday when he collided with a traffic light pole. Police investigators suggest he lost control of his bike after gaining speed on the downhill side of a railroad track overpass. 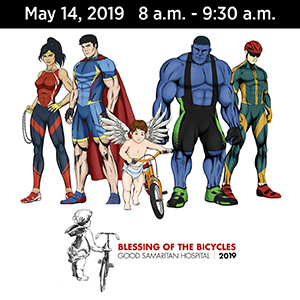 A police spokesperson indicates that the victim’s bike did not have an “operable brake system” or front headlight; that probably means he was riding a fixie, in which the fixed gearing itself can be used to stop the bike. In the other case, 22-year old cyclist Marco Acuapan died on April 8th, over 4 months after he was injured in a Tustin hit-and-run. Acuapan was riding west in a marked bike lane on Walnut Avenue near Browning Avenue about 7:30 pm on Wednesday, November 17th when he was rear-ended by red 2010 Mustang, which fled the scene. He suffered severe head injuries and taken to a hospital in critical condition, remaining in a coma until his death this month. Witnesses provided police with a description and the license number of the car, which police later found abandoned in nearby cul-de-sac; Renato Demartino was arrested at his home on suspicion of felony hit-and-run. Demartino is currently released on bond on charges of felony hit-and-run with permanent and serious injury, unsafe turn or lane change, and not using headlights after dark. No word yet on when charges will be upgraded to reflect the victim’s death. 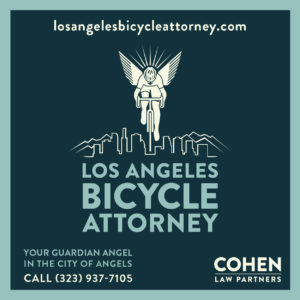 That makes 26 cycling deaths in Southern California this year; 23 resulting from collisions after the first of the year, and 2 from shootings while riding. Thanks to Rick Risemberg for the tip on the Coachella collision, and an anonymous tipster for the information about Acuapan’s death and charges against Demartino.